The Bald Head Walking Track in the Albany Region provides spectacular views of the striking coastal scenery of the Flinders Peninsula in the Torndirrup National Park near Albany, and provides walkers with a rewarding and breathtaking view of the coastline at the end of the track. The trail starts about one-hundred metres to the left of the car park in the Tondirrup National Park, at the Salmon Holes and winds over many miles of dunes until it reaches Bald Head. Whilst it's a reasonably strenuous 16 kilometre return walk over Isthmus Hill and Limestone Head, finishing at Bald Head, the most eastern point of the park, it is well worth the effort. Once you've done it you will want to do it again....the reward and satisfaction is enormous. From Albany, make your way to Frenchman Bay Rd via Hanrahan Rd or Princess Royal Dr. Follow Frenchman Bay Rd for about 15km, passing the turn-offs to the gap and the blowholes until you reach Stony Hill Rd on the right. Turn here and head uphill, taking the left turn into the short gravel road and carpark, just before the main carpark. The almost five kilometre return walk (allow 2.5 hours) follows a sandy track that winds through thick coastal scrub and granite walls with spectacular views of the Southern Ocean. Take a picnic and relax in the quiet peaceful surroundings. Thank you to Shane Green for the photo taken at the very end of the walk. Views over the Southern Ocean. – in the Stirling Ranges. Follow Chester Pass Road for approx. 100 km and turn right into Bluff Knoll Road. Approximate elevation 1094m. Certainly the most popular walk with return time of about 31/2 hours. Trail is well marked. There is a café on the corner for coffee and light food. Remember to take warm clothing as it can get very cold as you get to the top. Don’t forget your water and sunscreen especially in the summer. You will occasionally find snow at the very top during a cold snap in the winter. Mount Trio - Approximate elevation 856m. A feature worth the effort with one stretch being difficult and steep in spots . From the saddle you have a choice between the East Peak or North Peak, with the return time being about 21/2 hours. Mount Hassel - Approximate elevation 847m. A relatively short hike with a return time of about 21/2 hours. The trail is clear but one may stray on dead-end tracks, so be observant. A popular hike affording wonderful views. Not considered difficult. The Quaranup / Point Possession Trail, a 1.6 km walk from Albany's old Quarantine Station to Point Possession. This is an easy 6km hike. Point Possession is a long, narrow isthmus with a beach on either side, leading to a low, rounded granite hill at the end. It's a scenic spot with Views of King George Sound, the shipping channel, Princess Royal Harbour and Albany Port. When you are at the end it seems like next stop is the South Pole. Take a picnic and relaz in the quiet peaceful surroundings. This is an easy, nine kilometre walk and takes approximately four hours to complete. It commences at a well-marked trail head on East Bank Road which runs off Nanarup Road. The walk provides constantly changing views of the river, along with a mixture of vineyards, green pastures with grazing cattle and eucalypt bushland. The water is clear and reflective and you can find some unusual fungi here. At the beginning of the trail you can enjoy a wonderful shelter shaped like a flying kookaburra. 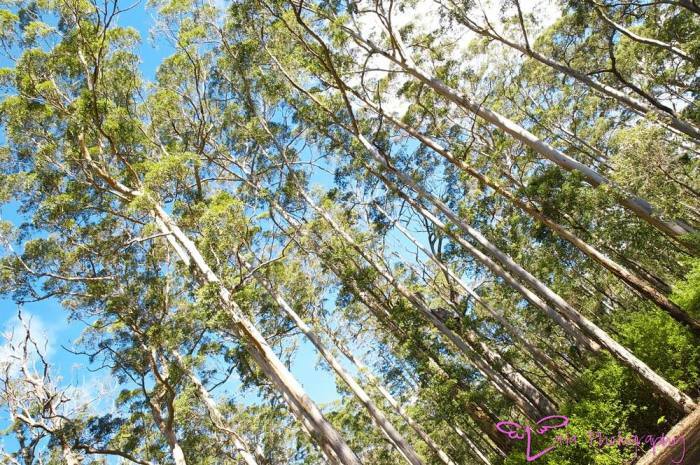 Mt Martin Botanical Reserve provides a beautiful coastal setting for recreation and enjoyment of natural beauty. 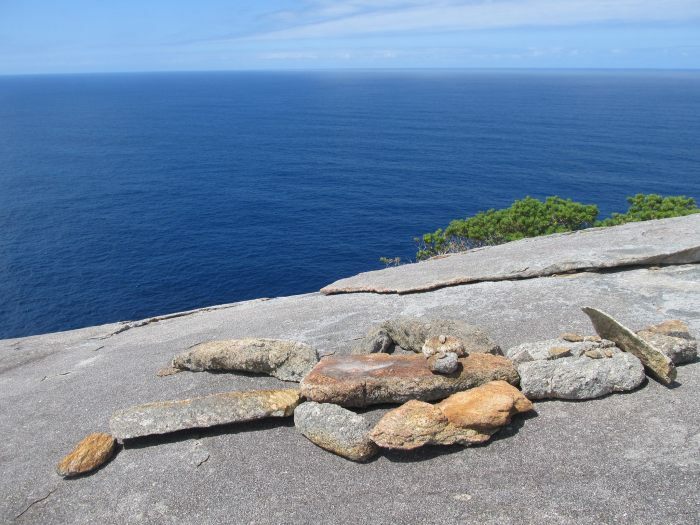 A 5 km hike offers high vista points in the landscape and outstanding views of Breaksea and Michaelmas islands, Albany’s harbours and Torndirrup Peninsula. This walk starts from Shelley’s Beach car park. After your hike why not walk along Ledge Beach to Gull Rock and cool off in the beautiful blue water. The Pass - easy walk from the Tree in the Rock car park; 2km return - allow 1 hr. Hayward Peak - medium difficulty; 3km return - allow 2 hrs. Devils Slide - elevation 600 - 650m; moderate, slippery in wet weather; 2km return - allow 2 hrs; side trail from tree in the rock circuit; intriguing rock faces, huge granite formations, splendid views; views to both north and south and a marvellous place to have a picnic lunch. Marmabup Rock - via Devils slide; for experienced walkers only ; 5km return - allow 5 hrs. Tree in the Rock Circuit - elevation 600 - 650m; medium walk; allow 2-3 hrs; spectacular views, picnic area, barbeques; takes in Hayward Peak, Nancy Peak and Morgan's Views. Start at the picnic area at end of Bolganup Rd. - elevation 500m; moderate hike - not for the faint hearted; 1.5km - allow 2-3 hours. Start at picnic area at eastern end of ranges. Head up steep hill through Karri trees. Descend before climbing next hill to Balancing Rock. Here is a wonderful photo opportunity. The next part is not easy. 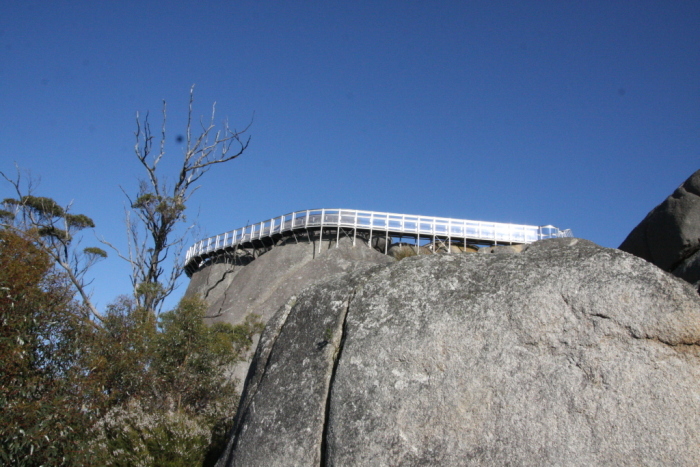 Climb over rocks, through a crevice, up a ladder then along a catwalk to the summit for magnificent views. Other trees are red gum, jarrah. Wansborough Walk - hard ; 4km - allow 2-4 hrs. From Millinup R oad turn onto Wansborough Walk where the road road divides turn left to picnic area. Start of walk is up the steep hill. Trail divides to Devils Slide or Nancy Peak. The Middleton Beach Board Walk at Ellen Cove and winds around the coast with stunning views to join up with Stirling Terrace in the city. There are a number of pathways from the track that lead to the water’s edge. The total distance from the beach back to the city along the path is approximately 5 kilometres. This is a dual pathway for walkers and cyclists. The Middleton Beach to Emu Point path is also a dual pathway running adjacent to the beachfront starting at the northern end of the beach and finishing at Emu Point. The total distance is approximately 3 kilometres from Middleton Beach. Thank you Steve K Photography Views from the boardwalk. Stunning!! Lake Seppings is regarded as an excellent place for bird watching, particularly for water-birds. Over one hundred different species of birds have been seen here. This is beautiful walk along the Kalgan River and within easy walking distance from HideAway Haven. Leave the car in to car park and take a walk before breakfast. Turn right just past the Oyster Harbour Store and then first turn right off Bayonet Head Road and follow the road until the path begins. The path follows the Kalgan River and then climb some stairs and enjoy the views. Keep walking to the Bayonet Head look out. Another before breakfast idea for those of you who like to get out early is the walk from HideAway Haven to Griffith Street Beach. Approx 3 kms. Turn left at Lower King Road and follow the path to the beach. Left takes you to Emu Point and right takes you to Middleton Beach. This is a beautiful walk in the mornings and evenings as you share the path with horses and Blue Wrens. The Bibbulum Track is a long distance walk trail in Western Australia. It runs from Kalamunda, east of Perth to Albany and is 1,003.1 kilometres (623.3 mi) long. The name comes from the Bibbulmun, or Noongar people, Indigenous Australians from the Perth area. 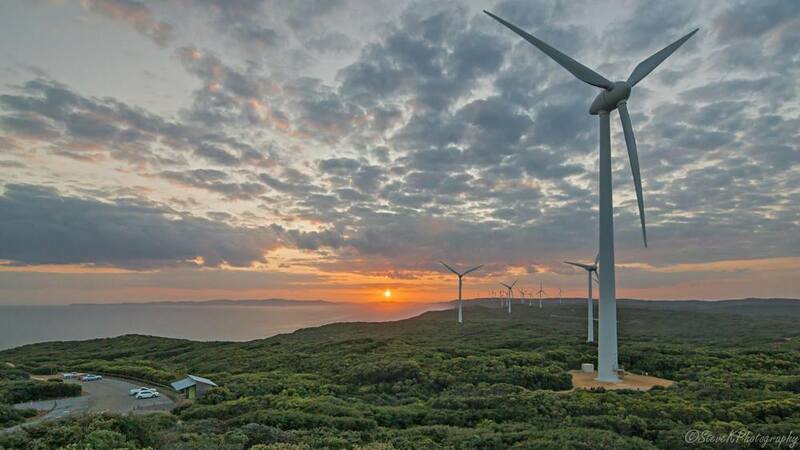 Take a short hike from the Sandpatch or Windmill Farm along the very dramatic coastline. Facing the water’s edge turn right and follow the track past the Windmill Farm. This is also the perfect spot to sit and watch the sun go down in the evening. Other suggested walks can be found on the Albany Region webpage.